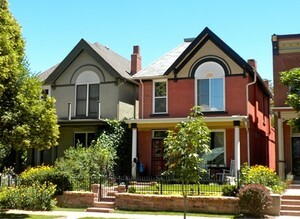 Five Points is lauded as one of Denver’s first residential neighborhoods and has become one of the top cultural centers near downtown Denver. The area derives its name from the 5-point intersection at Welton, Washington Street, 27th Street, and E. 26th Avenue. It has long-standing jazz history with many of the great musicians including Billie Holiday, Miles Davis, Duke Ellington and more playing at clubs including the Rainbow Room. Five Points is a very diverse neighborhood and features some of the oldest and most architecturally rich homes and buildings in Denver. Renovations of old warehouses and buildings have led to some of the most unique and charming lofts in the city. Around 120,000 people come to the area over a four day period during the Five Points’ annual parade and festival celebrating Juneteenth. Promoting life, uniqueness and creativity this is one of Denver's finest cultural events. Nearby Curtis Park was developed in the 1860s and 1870s with fashionable and elegant homes. Today, many Victorian mansions and Queen Anne-style homes are being restored. They intermingle with luxury lofts and new multi-unit housing developments. Named after the city’s oldest park this area, boasts beautiful homes, tree lined streets and a great mixture of people. Ethnic and soul food restaurants are abundant throughout the neighborhood! A popular hang-out is the Mercury Cafe; home to poetry readings, Flamenco performances, swing dancing and much more. The 15 minute walk to downtown also puts you close to action to work. The area is rich in tradition and along with its vast array of housing types; Curtis Park is also a diverse cultural community. Much like many areas in the downtown, the neighborhood is experiencing enormous revitalization as the interest in the area grows and urban living becomes more popular. New development continues, and as more people move towards the inner core from the outlying areas of the metro, lofts and condos are becoming even better investment properties. 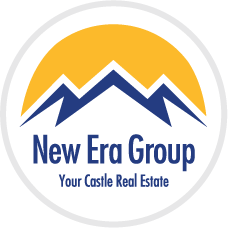 Discover your unique place in this great area by contacting us today or calling 303-991-9878.